What’s not to love about a plant that will take just about any form of gardening abuse we can throw at it and still produce stunning blooms? Bearded irises, Iris germanica, the chosen emblem of French royalty (fleur-de-lis), are one of the easiest and loveliest perennials you can grow. While you may not have bearded irises on the brain this month, fall is one of the better times of year to plant them and to find unique varieties. If you’re a “plant collector” like I am, then it’s easy to be tempted by the dizzying array of colors and forms of bearded iris. There’s one to suit just about any taste out there. Sometimes it can be hard to make space in the garden for all the new acquisitions, but that rarely stops me from trying new varieties. Hybrids such as ‘Thornbird’, which I have growing in my garden, not only sport large, impressive blooms with unique color combinations, but also offer up wonderful fragrance. 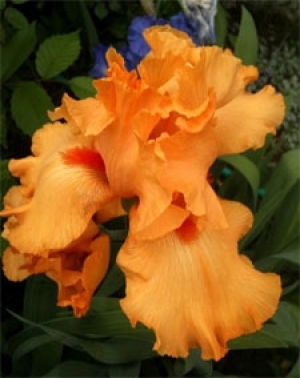 ‘Orange Glaze’ and ‘Orange Harvest’ are more favorites of mine, ones that provide blooms of the brightest cheery orange. ‘Blenheim Royal’ gives you the deepest of royal-blue-colored blooms with light blue beards. You can even have “black” flowers with varieties like ‘Night Ruler’. There are also repeat-bloomers, which will gift you with a show in the fall months. I even love the old-fashioned Iris pallida, which sports an abundance of similar, but smaller, pale blue flowers. Ideal conditions for bearded iris include a full-sun location with elevated soil or good drainage. While irises will still bloom in part shade, deep shade can shut down the flowering. The one condition they won’t tolerate much of is very wet or soggy soil, especially in winter. Too much water or poor drainage can result in decay of the roots and rhizomes. You can plant clumps of all one color, or you can mix varieties if you like. Space the rhizomes about 12 inches apart at planting. This will give your plants ample room to multiply and clump. 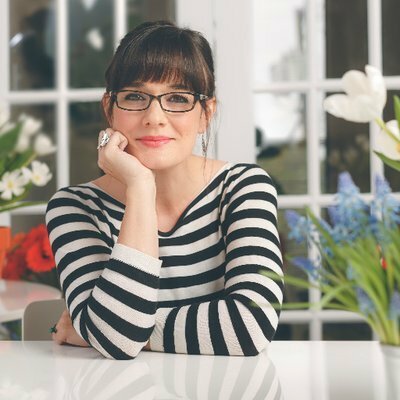 Whether you’re planting irises from pots or from loose rhizomes, they should be planted so the top of each rhizome is exposed to air. If the soil is very loose or sandy, or you’re planting in a spot that gets very hot direct sun all day, it won’t hurt to cover the rhizome with about ½ inch of soil, but no more. Simply press the soil down around each rhizome to stabilize the plant and then water. 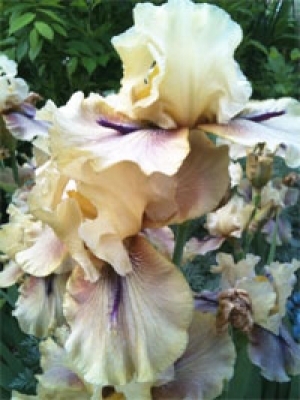 The most common mistake with bearded irises is to plant them too deep. As with any new planting, irises will need supplemental watering to establish a healthy root system. Once established, however, they often will not require additional watering. During the hottest part of the summer, the leaves may look stressed. If so, you can provide additional water. If planted in fertile soil, irises typically don’t require much feeding. However to keep them vigorous and looking their best, I’d advise feeding them with a bulb fertilizer after spring blooming has finished.